spend an eventful holiday on our rustic farm. 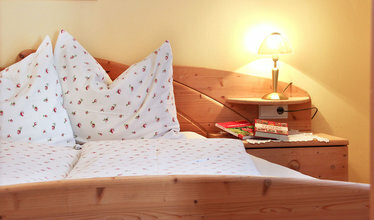 We offer you four comfortable holiday apartments for carefree and unforgettable holidays all year round. 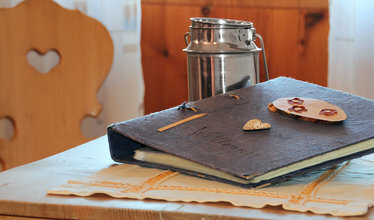 All rooms are cosily and harmoniously furnished in the Tyrolean style, and are pervaded with lots of sunlight and warmth. The wooden floors are untreated, as is the solid wood furniture. All our apartments have fully equipped kitchens, good cooking pots, good cutlery as well as electric stove, kettle, coffee machine, toaster, SAT TV... in short, with everything you need. Bathrooms are with shower, WC, hairdryer and floor heating for cold feet. 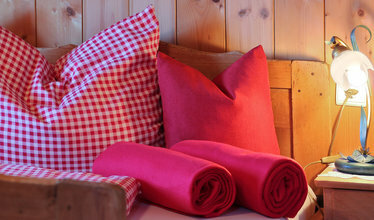 Towels are provided and the beds are, of course, freshly made. All our apartments have fully equipped kitchens, good cooking pots, good cutlery as well as electric stove, kettle, coffee machine, toaster, SAT TV... in short, with everything you need.